(Jeff Mordock – Washington Times) Tucked inside the inspector general’s report on former FBI Deputy Director Andrew McCabe was the story of an August 2016 phone call from a high-ranking Justice Department official who Mr. McCabe thought was trying to shut down the FBI’s investigation into the Clinton Foundation while Hillary Clinton was running for president. The official was “very pi–ed off” at the FBI, the report says, and demanded to know why the FBI was still pursuing the Clinton Foundation when the Justice Department considered the case dormant. 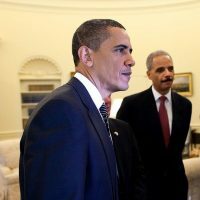 In the past 48 hours, there have been several reports about serious corruption at the highest levels within the Obama Justice Department and FBI. Of course, you won’t hear about any of this on the nightly news broadcast from the left-wing media. So I will summarize it for you. Buried in the inspector general’s report against fired FBI Deputy Director Andrew McCabe is the stunning revelation that a top Justice official, the principal associate deputy attorney general, called McCabe in August 2016 and essentially demanded that the investigation into the Clinton Foundation be stopped. But before you start feeling sorry for McCabe, investigative reporter Sara Carter writes that McCabe attempted to shut down the initial investigation of Hillary Clinton’s private email server in 2015. Why would he do that? At the time, McCabe’s wife was a Democrat candidate for the Virginia State Senate. Her campaign received more than $450,000 from Clinton confidante Terry McAuliffe.